Field rules show or hide fields based on the information entered in other fields. Learn more. Example: If an employee has children, the HR department needs the employee to fill out a section with the children’s names, genders, and ages. Employees without children can skip this section. 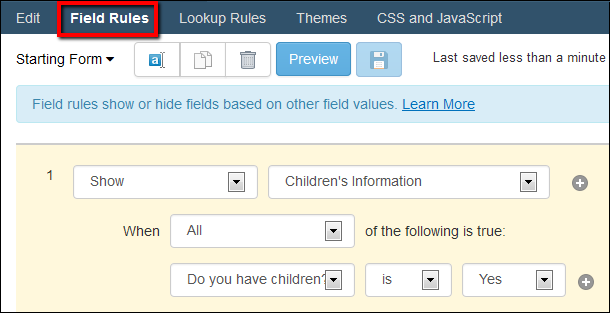 To make it clear exactly which sections need to be filled out, the HR department created a radio button field that asks if the employee has children (yes/no). Then they created a field rule that shows the Children’s Information section only if the employee selects Yes. 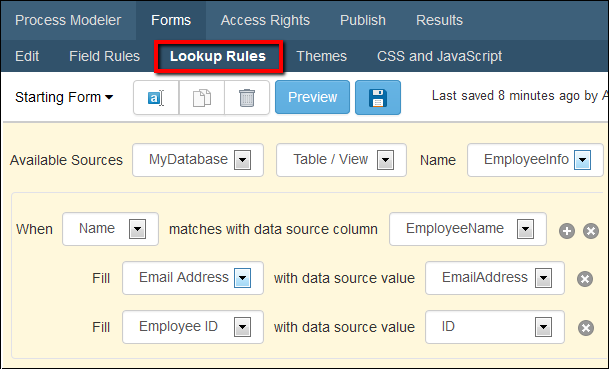 Lookup rules automatically populate fields with information from a database. Learn more. Example: An employee’s information (e.g., name, email address, and employee ID) is stored in the company’s SQL database. 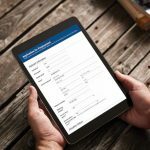 Human Resource forms often need this information, but it’s tedious and error-prone for employees to fill out the same information on multiple forms. Instead, when an employee types his or her name on a form, a lookup rule gathers the matching information from the database and fills in the correct email address and employee ID.